This is the answer key for Wordly Wise 12 in which homeschool students are presented with 300 new vocabulary words, organized in manageable lessons, with 15 words per lesson and 20 lessons per book. The flexible format makes this is an easy fit into any curriculum. Lessons include: Word study with Greek and Latin roots, prefixes, suffixes, antonyms, synonyms, and analogies; Using context and syntactic clues; Content area reading selections; Dictionary-style word lists; and Understanding multiple meanings. 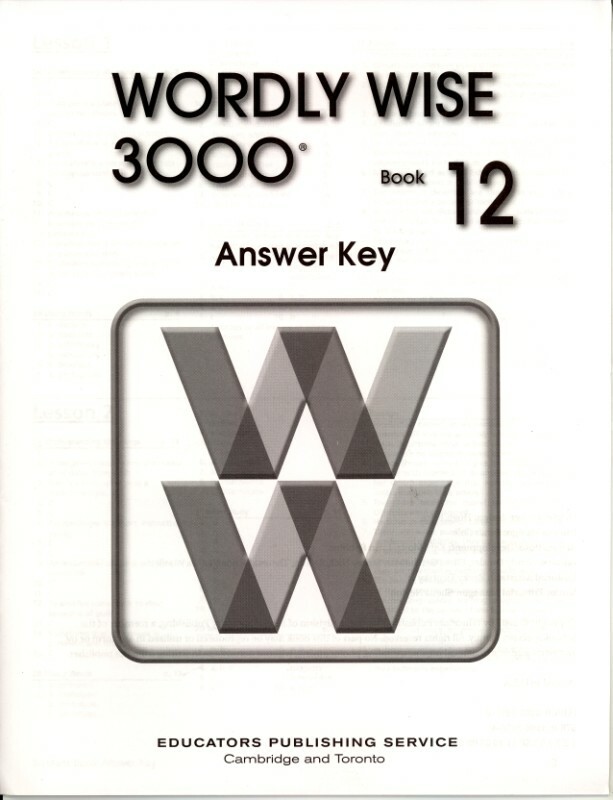 Wordly Wise 12 Answer Key - a wonderful selection for your homeschool vocabulary studies!